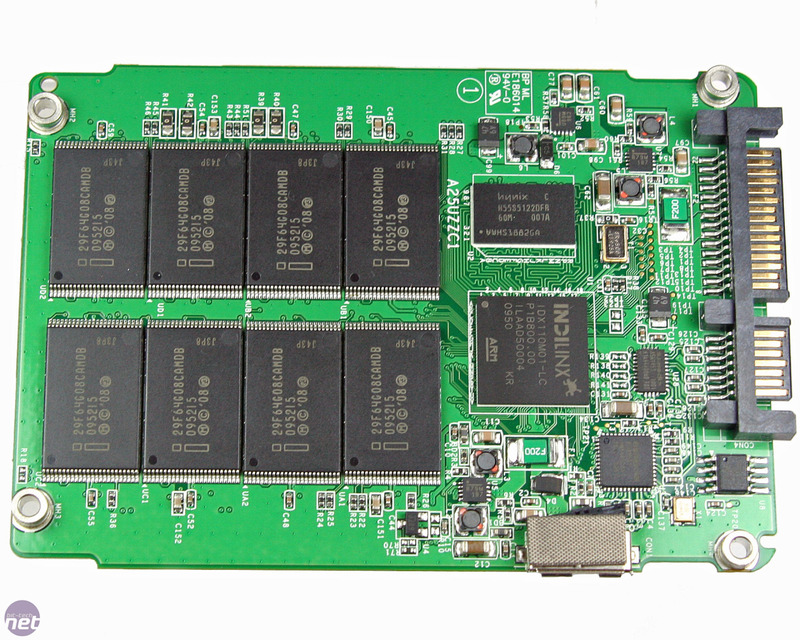 Indilinx’s Barefoot controller goes from strength to strength, and even a year after launch, it's a popular chip for SSD vendors. 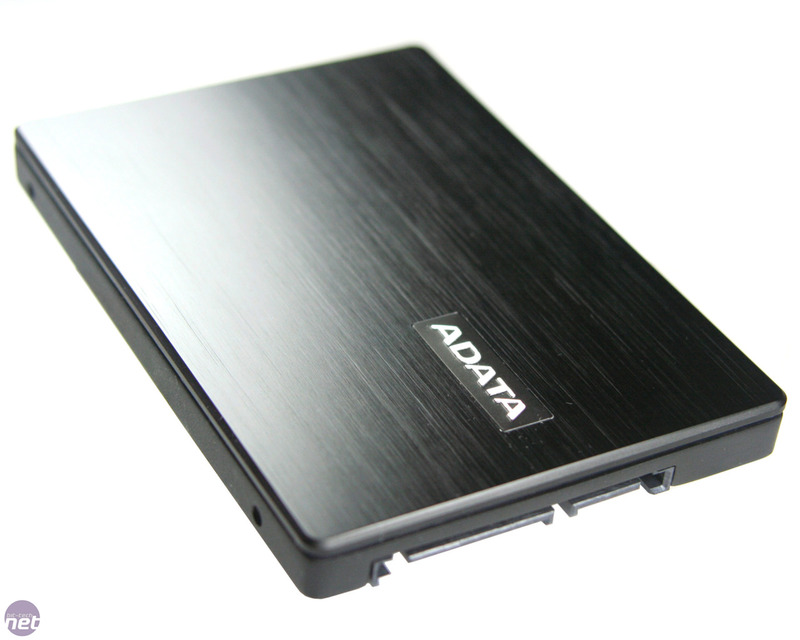 This is due to its mature firmware, supported NAND memory compatibility and its fast performance. The OCZ Vertex, Crucial M225, G.Skill Falcon, Patriot Torqx and the Corsair X-series have all been based on the Barefoot controller, and to great success. 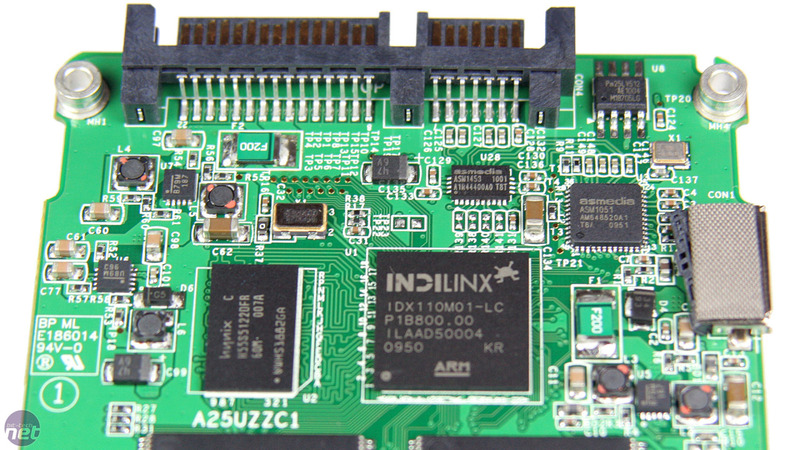 The support has flowed from Indilinx too, with a rapid succession of firmware updates improving speed and adding the essential TRIM support. 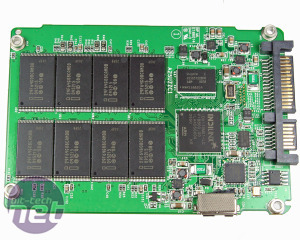 In addition to the standard SATA connector on the back (in the usual place), there's a USB 3 micro-B connector on the side as well. 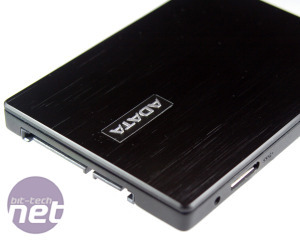 The advantage is that while using SATA there's always the need for its additional power connector; USB 3 provides enough power for this whole SSD with just a single cable - very neat. 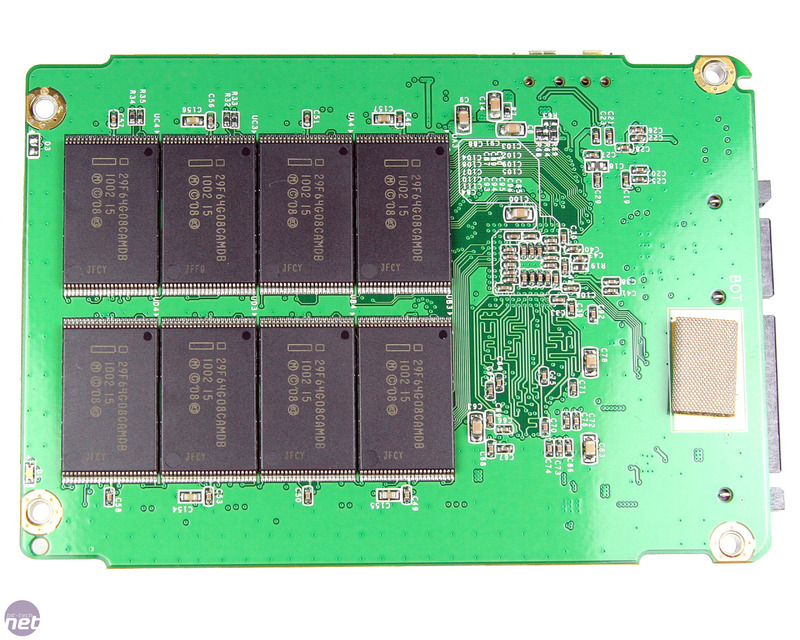 The ASMedia ASM1051 SATA to USB 3 converter chip is in the upper right. Click to enlarge. The USB 3 support is thanks to the little ASMedia ASM1051 chip that converts SATA to USB 3, and which is nestled in the corner of the PCB. 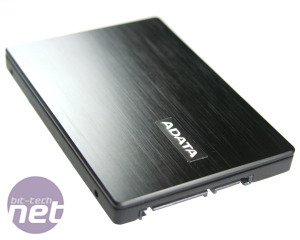 Adata also makes the Nobility suitable for external use, with a rubber SATA connector cover in the box to protect it from the elements, and four little rubber feet so you can sit it on the desk without it scratching the surface. The black aluminium case has an attractive brushed top that's far less coarse than the older Samsung SSDs; the downside is that black brings up fingerprints like it's showing them off. 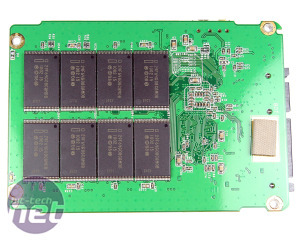 Unscrewing the Nobility’s casing reveals much the same PCB as we’ve seen in every Indilinx-based SSD, with the IDX110M01-LC Eco drive controller chip alongside the 64MB Hynix H55S5122DFA cache chip. Sixteen 8GB 32nm Intel NAND chips are also present, eight on each side. We saw no sign of jumpers or pins on the PCB, which means that there will be no way to update the firmware, or that you can use a software method, or that there won't be any firmware updates - Adata didn't confirm which was the case. Kingston has officially unveiled the HyperX MAX 3.0 range of USB-connected SSDs.